Dear friends, There has been an unfortunate situation which has affected the total amount of donations for Tamara. Darya was promised a USD1200 donation by a friend in Iraq who works for United Nations. This friend has been involved in a serious accident and is hospitalised …… so can no longer give the donation. So, Darya has ordered the cornea to come from US and that is all paid for….. But there is now USD1200 required to meet the total cost of the actual surgery. If you could help Tamara’s sight be restored could you please donate. We still need to raise $201.97 to cover the final costs of ordering a cornea for Tamara from US to Erbil, Iraq. If you are able to help with a small donation we would be very grateful. Attached is the USD1,000 receipt for the order – we felt it was urgent to proceed with the order of the cornea and have the surgery before Tamara loses the sight in her one good eye. Tamara is ready for surgery but USD1000 is required to order the Cornea from US then proceed with the surgery. If you can help out even with a small donation it would be really appreciated. Our team member, Darya Mustafa accompanied Tamara to an eye clinic yesterday and Dr Didar examined Tamara and has given a discount for the surgery because she and her family are internally displaced people with no money. Dr Didar has stressed how critical this surgery has now become – a cornea has to be sent from US to Erbil. Without urgent surgery Tamara will quickly lose the sight she has left in one eye. Please consider donating to ensure that Tamara does not lose all her sight. Tamara is a 15 year old girl who has lost the sight in one of her eyes and the other eye has poor vision. Tamara’s remaining eye has a condition known as Horny Cone and will lose the sight in this eye if she does not have eye surgery as soon as possible. 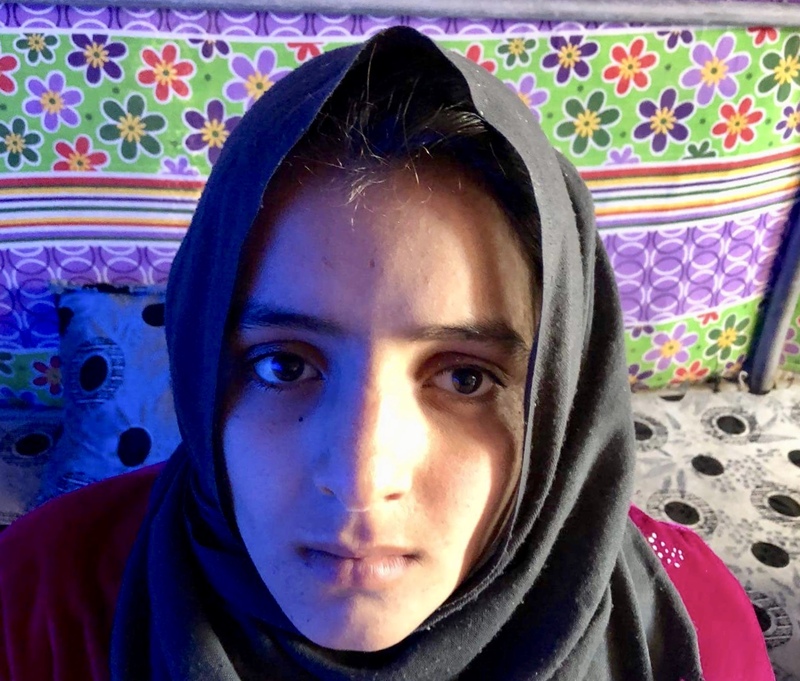 Her case is critical …… her family have taken her to Erbil for examination 4 times but they cannot afford the surgery for Tamara. We want to help Tamara keep the remaining eye sight she has in one eye …. will you help by donating towards this urgent surgery? Please click the donate button if you can help out. Thank you.